Companies still struggle to understand online marketing as a new generation of digital opportunities unfolds. Consumers have never been so powerful. Consumers have never been so connected. Mitch Joel unravels the fascinating world of New Media, Consumer Generated Content and Social Media. Learn how these marketing touch points are creating conversations where the results are staggering and loyalty is off the charts. Words like Social Media and Web 2.0 control every boardroom discussion in relation to growing market share and new Marketing opportunities. Learn how emerging and professional speakers can take part in these communities and conversations. Plus, we'll be taking qestions from the audience. 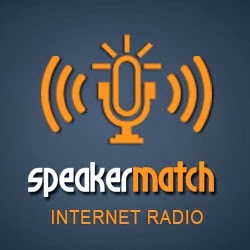 SpeakerMatch Radio's schedule of events at http://www.speakermatch.com/radio.